Butter-y, oat-y, pecan-y, cinnamon-y and yummy. Everything you love about a cobbler baked together and crumbled on top of your favorite flavor. Warm creamy hot fudge made with Belgian cocoa powder, bittersweet chocolate, cream and lots of honey. Caramelized organic sugar mixed with Tahitian vanilla and Straus Family Organic heavy cream. Try this on top of just about anything…just sayin. Roasted pecans in sugar, salt and cayenne pepper, sweet with a slight hint of heat. Back-by-demand. 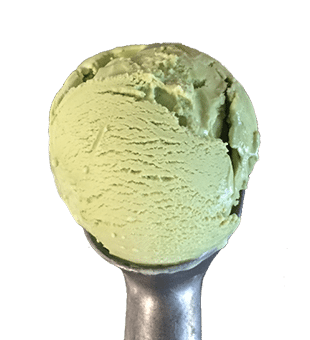 Our matcha green tea ice cream is smooth, creamy and packed with intense essence of traditional green tea. 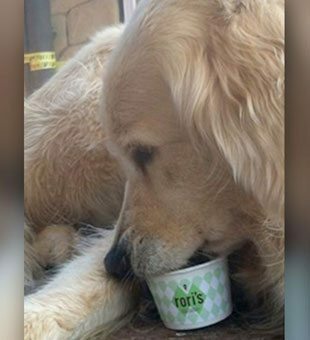 Who says our four legged friends can’t have a frosty treat? Chilly Dog is especially made to spoil “mans best friend”. Made with organic yogurt, bananas, peanut butter and hint of molasses, Fido will be over the moon!